Join us for the 25th Anniversary of Dining Out For Life® in the South Puget Sound! 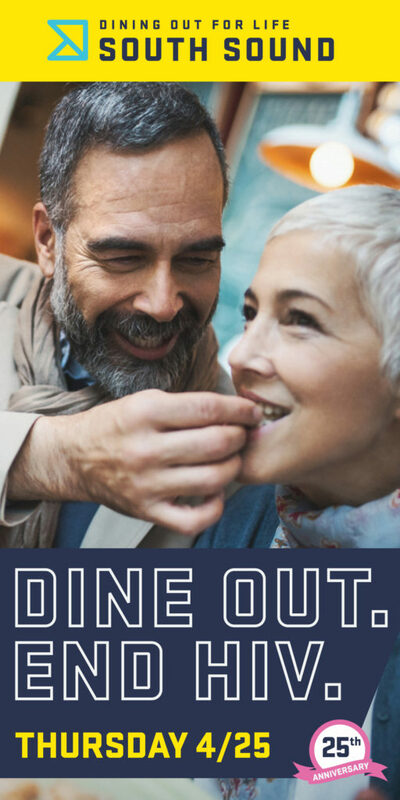 Dine out at one of the South Sound’s most generous restaurants and a portion of your bill will be donated to support people affected by HIV in our community. It’s the tastiest good deed you’ll do all year!